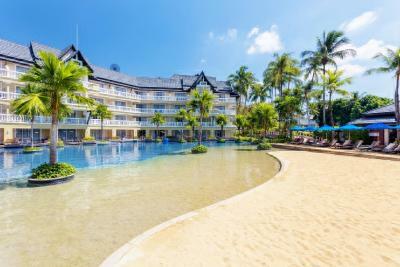 Lock in a great price for Angsana Laguna Phuket – rated 8.5 by recent guests! Pool, staff, breakfast, kids club We had a great holiday, very relaxing. Would love to come back! The staff was very friendly! Stayed in Phuket for the the Laguna Phuket Marathon. One of the awesome staff members, Tony, picked up my race packet the day before the race because I was not able to! We are beyond grateful for Tony!! Also when we checked in, we were greeted with tea, peanut brittle, and a bracelet. The hotel is extremely nice, the rooms are fantastic, the view was great! 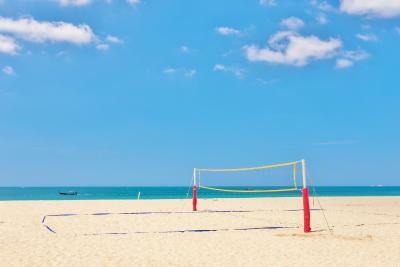 There is a free shuttle and transportation to the beach and an area called Canal Village (restaurants and shops). I would definitely stay here again. Property location and facilities are great. Fitness Centre and pool superb. Italian restaurant and beach bar are very nice. The Thai restaurant is not great - much better quality available in laguna and service quite poor. Beach is beautiful and staff around hotel fantastic. Clean, large kids club, rooms serviced well. Accommodating staff. Was a continuation of our stay with a change in room. So will focus only on the room. Stayed in premier room, big and spacious , close to the pool and a very nice coffee machine. Very nice resort with great feel with the laguna area. Kid friendly, amazing service- super quick and effective, access to laguna properties, good boat service. Great holiday feel.food was good. Thai restaurant is very good both - Angsana and Banyan tree. Room was big and neat. Nice bathroom, nice coffee machine and lots of water to drink. Staff where amazing and always happy best staff experience in all my 36 years! 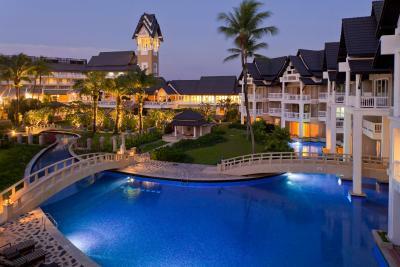 The resort is gorgeous and everything is very convenient. The beach nearby was great -- not that many people and quiet, at least in late October. The pool is huge! A lap from one end of the pool to the other took me about 10 minutes. There's plenty of things to do, if you have the time for it. 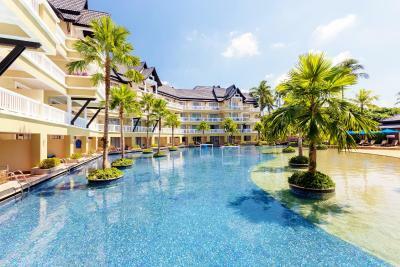 Angsana Laguna Phuket This rating is a reflection of how the property compares to the industry standard when it comes to price, facilities and services available. It's based on a self-evaluation by the property. Use this rating to help choose your stay! One of our top picks in Bang Tao Beach.A 950 feet pool snakes around the stylish Angsana Laguna Phuket, a modern tropical getaway on scenic Bang Tao Bay. Guests can take a free boat shuttle to shop at Canal Village Boutiques & Galleries. Fitted with unlimited free Wi-Fi, the spacious rooms feature abstract artwork and modern Thai decor. All are equipped with a 40-inch flat-screen TV, a comfortable Sealy bed and a luxurious pillow menu. Free bottled water is included. 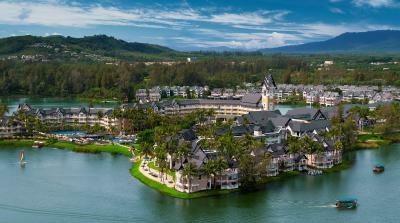 Angsana Laguna Phuket is within 5 mi from Wat Phra Tong (Half Buried Buddha) and Phuket FantaSea theme park. It is a 20-minute drive from Phuket Town and Phuket International Airport. Mai Khao Bay and Ton Sai Waterfall are 12 mi away. The award-winning Angsana Spa features Asian-inspired therapies and massage. Guests can practice yoga with a personal instructor, go scuba diving by the beach or exercise at the gym. There is also a golf course in a nearby area. Free shuttles go to Laguna Phuket Golf Club. 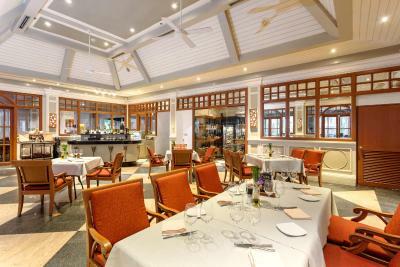 A daily breakfast buffet is served at Market Place, while fresh seafood and Thai cuisine are offered at the beachfront Baan Talay. Other dining options include Tree House Kid’s Club & Café, as well as Mediterranean food at Bodega & Grill. Drinks are available at Loy Krathong Bar and Poolside bar. 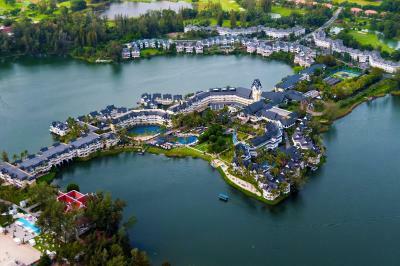 When would you like to stay at Angsana Laguna Phuket? In the Main Building, stylish air-conditioned room features a 40-inch flat-screen TV, a comfortable Sealy mattress and a pillow menu. Bathrooms have either a bathtub or shower facilities. 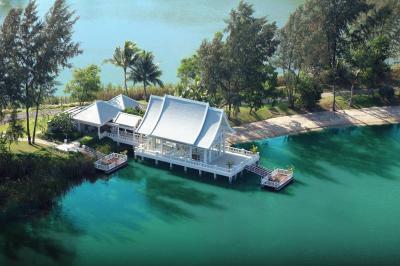 Views include a choice of green gardens, tranquil lagoon or ocean. Enjoying beautiful lagoon views from a large balcony, this stylish air-conditioned room features a 40-inch flat-screen TV, a comfortable Sealy mattress and a pillow menu. Includes a sitting area. Bathrooms have either a bathtub or shower facilities. Features a private terrace with direct access to the resort's 323-yard pool. Includes a 40-inch flat-screen TV, comfortable Sealy mattress and a pillow menu. Bathrooms have either a bathtub or shower facilities. This room type is not recommended for children due to safety reasons. It can accommodate children above the age of 12. This luxurious suite includes a kitchenette, 2 bedrooms and 2 bathrooms; one with a sunken bathtub and one with shower. From the balcony, guests can enjoy the views of the grounds or lagoon. Provides a 40-inch flat-screen TV and a pillow menu. 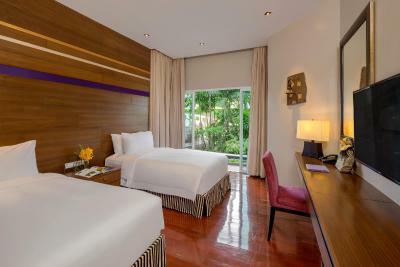 Spacious and stylish, this room features a sofa bed and can accommodate up to 2 adults and 2 children at no extra cost. Enjoying views of the grounds, pool or lagoon, the room has a 40-inch flat-screen TV and pillow menu. Bathrooms have either a bathtub or shower facilities. In a private enclave, a short shuttle ride from the main resort, is the Angsana Pool Residence. It features commanding views of Laguna Phuket Golf Club. The residence has a private pool and large indoor and outdoor living areas. Please be informed that this room type has no capacity to accommodate extra beds. Located alongside the resort’s lagoon, room features a spacious terrace, flat-screen TV and sitting area. Shower facilities, bathrobe and hairdryer are included in a private bathroom. Offering double-height ceilings, the split-level loft overlooks the lagoon. It features a living area with artistic touches on the first level and a bedroom space with an private bathroom on the second. Please note that due to safety reasons, this room type is not recommended for children. It can accommodate children above the age of 12. Angsana Hotels & Resorts brings the adventure back into travel whatever your age or reason to visit. Intertwining local chic and a vibrant, fun-filled atmosphere,Angsana creates an exotic destination playground.The opportunity to surprise yourself. House Rules Angsana Laguna Phuket takes special requests – add in the next step! Angsana Laguna Phuket accepts these cards and reserves the right to temporarily hold an amount prior to arrival. Please be informed that children aged under 12 years and accompanied by paying adult dine for free on kids menu (maximum 2 children per room/dinning). Please be informed that the "Laguna Poolside Room" and the "One-Bedroom Loft Suite" can only accommodate children above the age of 12. The staff were pleasant but service speed was slow at the pool bar. Songkam was supposed to be a big festival but the hotel closed one of its restaurants causing a lack of child friendly eateries whilst hosting corporate events. Thai restaurant was very good. The Villa Room was very good. The best hotel I've ever seen, best service, clean and helpful managers (Manager Nana is the best, did everything from heart, Roman not). The food quality at the breakfast buffet, the evening beach grill and the thai restaurant was poor. We needed to eat at the banyan tree thai restaurant on the last night to get a quality dinner. The garden and pool are the highlight. Construction work nearby was quite disturbing. The beef restaurant was very expensive (overpriced), even if the food was very good. The teenagers missed friends with whom to play water polo, soccer etc. The Villa guests’ breakfast was very good. The beaches were very nice and hotel constantly maintained. It was a bit far from shopping and entertainment. All the restaurants food was extremely poor and expensive for the quality and location. The location is nice. The hotel could have been nice if the maintenance was better. The villas are in need of a refurb .... they’re pretty tired looking unfortunately. The pool needs fixing as there are hundreds (maybe thousands) of broken tiles on the pool floor. At least one of us cut our foot/feet each day we were there and my son twice required medical attention. The second time it was quite a serious cut that took a few hours to stop the bleeding. We weren’t the only ones requiring medical attention so the management are well aware of the problem. Restaurants were expensive and a bit dull. Breakfast/ food at the hotel were super expensive to say the least! Angsana Laguna clearly takes an advantage of being remotely located (far away from restaurants, cafes which are often superb in Laguna). Breakfast should be priced with at least some sanity. Rooms need a bit of an upgrade (especially for a 4-star resort). Beach was quiet, beautiful and clean, staff were helpful, and location was great. There are plenty of outstanding restaurants and spa in the village (about 2.5 km walk). Room was ok, not superb but good enough. The staff are wonderful they ake you feel very welcomed and relaxed. I was very lucky to get an upgrade too. the management of receiption is very effective. the manager is nice and considerate. wonderful transpirtation arrangement, ferry, shuttle bus. This is my favourite place in Thailand, I stay in Angsana every time I'm in Phuket, and the hotel maintains a very high quality standard. Accommodation, spa, food, service are truly excellent. I'm always staying in lofts - wonderful for families but take a close look at the sofa downstairs, there may be ants. Lots of entertainment around, and if you want to diversify your food options, great restos and cafes are just 20 minutes walk from the hotel.